Tooth care in toddlers is one of the more difficult parts of raising a child. One of the major problems that you will have to face with a child is tooth decay. This is something that happens with a high sugar diet and low levels of oral care. It is important to let your child know the importance of good oral hygiene early in life; especially, brushing teeth twice a day. 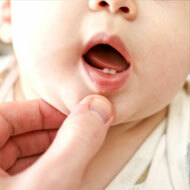 There are many aspects of toddler tooth care and it all starts with a good diet that is rich in minerals and calcium. Once tooth decay begins, it is something that can only be arrested with the removal or rebuilding of the tooth. How To Stop Tooth Decay In Toddler? How To Prevent Toddler Tooth Decay? Therefore, before getting into a situation of tooth decay treatment, it is important to prevent tooth decay. Preventing tooth decay starts with ensuring that one follows the right diet. This is because one of the reasons for tooth decay is a regular sugar intake that makes the regular bacteria in the mouth go hyperactive. When the acid producing bacteria in the mouth go hyperactive, the acid produced starts to eat into the tooth enamel continuously until, finally, the damage reaches the tooth pulp. If the decay is not treated, the entire tooth pulp will be lost and eventually the tooth will slowly start to disappear as well. Therefore, the first step is to eliminate the chances of regular sugar intake. This requires simply limiting sugary drinks and sugar-based snacks between meals. At meal times, these rules can be forsaken. Milk is one of the most important dietary additions because of its high calcium content. Generally, a diet for a child should consist of a lot of green leafy vegetables and milk for good bones and proper mineralization. Brushing one’s teeth twice a day is also extremely important since it destroys bacterial colonies that have overgrown since the last brushing. It is also important to drink a lot of water after a meal and teach your children to eliminate the taste of food completely from the mouth after a meal. Any remaining food scraps become a breeding ground for bacteria. Another good practice is to use a mouthwash after every meal to again reduce the bacterial populations in the mouth. This also goes a long way in preventing diseases like oral thrush which is a candida fungal infection of the oral mucosa; something that can regularly happen in growing children.